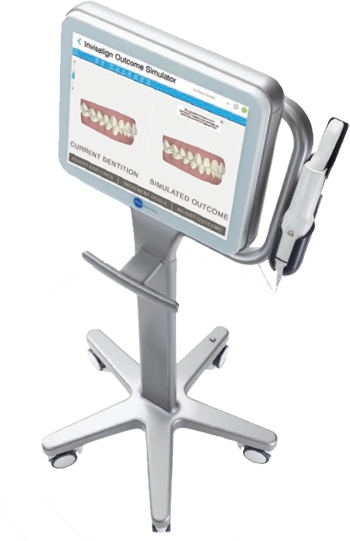 The Invisalign iTero Element Scanner is a state-of-the-art digital impression system that eliminates the need for messy putty in your mouth. 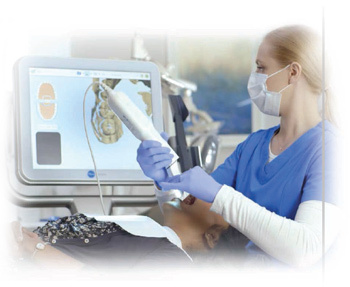 With our Invisalign iTero in London, we can digitally capture a detailed 3D model of your teeth and gums. Not only is this process far more comfortable than the old putty based impressions, but it’s faster and can offer a superior clinical endpoint. “Graham has given me perfect teeth. Not that it’s been easy. I first signed up for Invisalign with Graham in November 2014. I had a serious bite problem, when I bit together I could poke my tongue fully out between my teeth! This meant eating simple things like pizza was always a challenge as I couldn’t actually bite properly. Because of my bite being a problem (and because Graham is such a perfectionist) we’ve had to often give my teeth time to move and settle (there was 6 months I had brackets on the back of my teeth to allow natural movement). This has meant now, today when I am finally finished I have perfectly straight teeth and I can eat pizza properly to my heart’s desire! Most other dentists would suggest to fix my bite would require some kind of surgery or even a head brace (!) but Graham was patient and intelligent when it came with dealing with my teeth. He has always said that we would keep going with it until we were both completely happy with the outcome. I finished paying for the treatment over a year ago and still Graham continued to do work. Even going so far as to order another set of plates as there were just a couple of little things he thought he could improve and he even put a cap on one of my teeth to make them symmetrical. In terms of Invisalign itself, I can’t recommend it highly enough. It’s non intrusive, doesn’t affect your life and most people didn’t even realise I had it unless I pointed out I was wearing a brace.